Many people have seen angels, apparitions of deceased loved ones, and ascended masters, as you'll read in this second collection of true stories by best-selling author Doreen Virtue, Ph.D. You'll read beautiful descriptions of what they saw, and learn about the vital messages imparted by these angels. 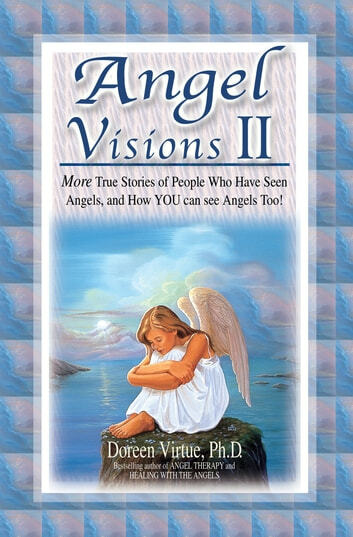 In Angel Visions II, you'll also read more remarkable stories about people who received life-saving messages from their deceased loved ones during dreams, and about helpful strangers who appeared from out of nowhere during a crisis and then suddenly disappeared. In addition, you'll learn about fascinating scientific research that is verifying the reality of angel encounters. Doreen also gives you step-by-step instructions that she has successfully employed in her popular workshops to help YOU see and visually connect with your angels, too.